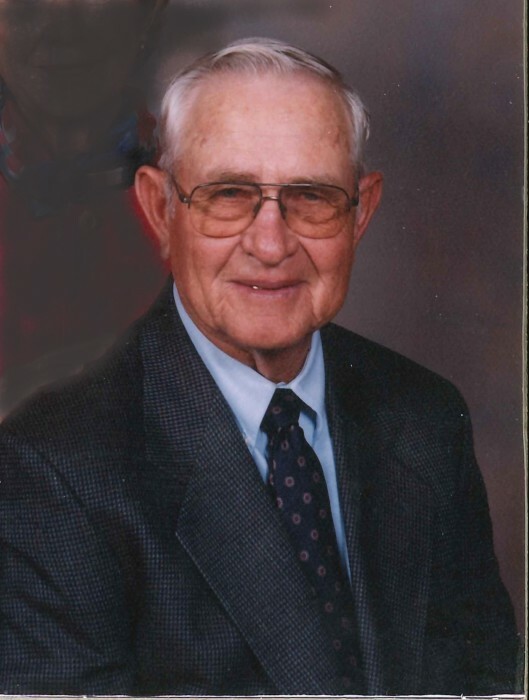 Obituary for Donnie Campbell | Lanman Funeral Home, Inc.
Celebration of life service for William Donald “Donnie” Campbell, Jr. will be held at the Jet United Methodist Church on Friday, January 18, 2019 at 10:00 a.m. with Rev. Lisa Anderson officiating. Visitation will be Thursday 10:00 a.m. until 7:00 p.m. with family present from 5:00 p.m. to 7:00 p.m. Burial will follow at Pleasant View Cemetery with arrangements by Lanman Funeral Home, Inc. of Cherokee. www.lanmanmemorials.com Facebook: Lanman Funeral Home Inc.
William Donald “Donnie” Campbell, Jr. was born in Jet on February 11, 1931 to William Donald Campbell, Sr. and Irene Wilcox Campbell. He was a graduate of Jet High School where he was active in football, Golden Glove boxing and F.F.A. He had many successful memories showing Registered Shorthorn Cattle from the Campbell herd. His career in showing pigs was short-lived, but he managed to have the prize winning pig at the Tulsa State Fair. His O.S.U. college career was interrupted when he was called to serve in the U.S. Army on the front lines of the Korean War. He was honorably discharged in 1954 and came home to marry his long-time sweetheart, Wanda Lee Tucker, a marriage that lasted sixty-six years. He went on to finish his degree in Animal Husbandry at O.S.U. and began his teaching career at Plains, Kansas, where he also managed a feed lot. Donnie and Wanda returned to Jet where they were blessed with the birth of their only child, Candace, only to be taken from them at the age of sixteen in a tragic accident. Donnie taught Vocational Agriculture several years at Jet-Nash Schools before he became engaged in full-time farming and ranching. He continued his farming career until health issues caused his retirement. He is now in heaven with his precious daughter, Candace. He was also preceded in death by his parents and two sisters, Myrtle Ellen Shaklee and Donna Marie Smith. Those surviving are his beloved wife, Wanda; sisters, Norma Zander and husband, Eddie, Linda Zander and husband, Larry, Dixie Claflin and husband, Larry; brother, Dean Campbell and wife, Mary Etta and a host of nephews and nieces. Memorials may be made to Jet United Methodist Church or Jet Fire Department through the funeral home.